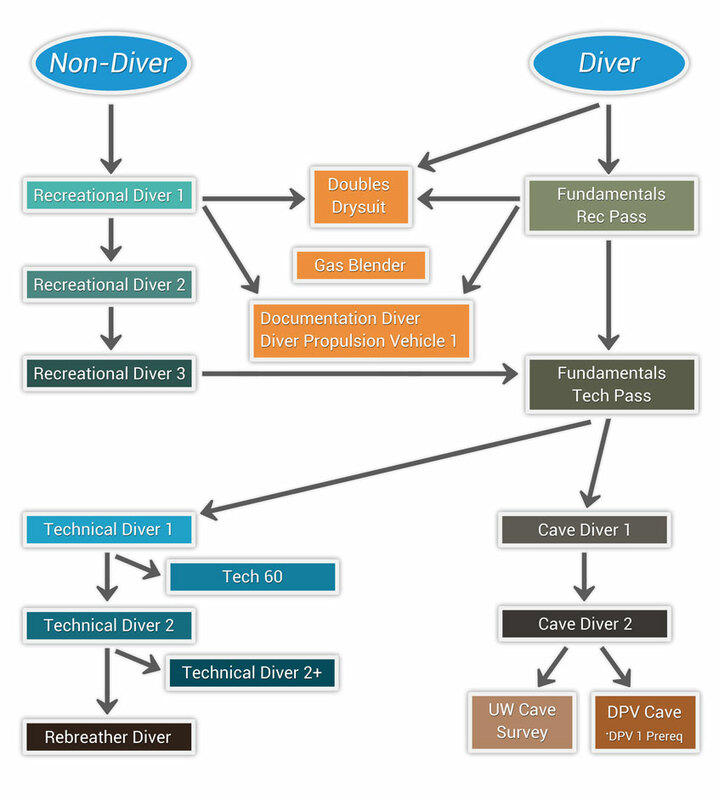 Wet Rocks Diving teaches the following GUE Courses from the Recreational, Foundational, and Cave curricula, described below. Should you aspire to pursue more advanced GUE training, we can provide guidance to get you going in the right direction. Our’s Recommended Course Progressions – Don’t know where to start? Then start here. As a GUE Cave 2, Tech 2+, JJ-CCR diver, Mer is familiar with the classes below. Email her today to discover if any of these classes are right for you! Mer will recommend the right pre-requisite courses to complete your skill-set preparation for these upper-level classes and recommend instructors for your additional GUE training. Not sure if you’ll like cave diving, book a Cave Experience/Try-Dive. Cave 1, Cave 2, Cave 3, Cave Triox, Cave DPV, Cave Survey: Explore the wet rocks of underwater caves, delicate formations, massive rooms, beautiful clay banks, twisty passage, awe-inspiring speleothems, and unique cave-adapted critters. 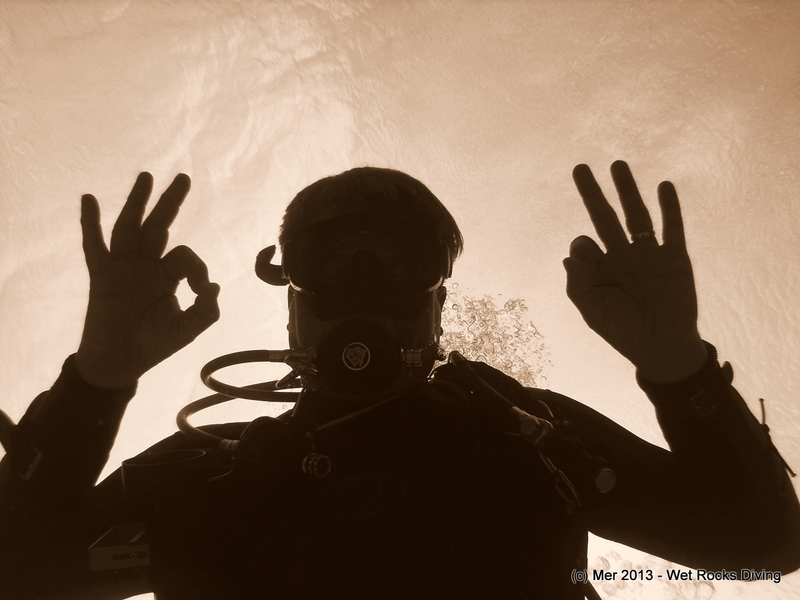 At Wet Rocks Diving we have passion for cave diving! Wet Rocks Diving offers Cave 1 instruction, as well as coaching pre- or post- cave class to brush up your skills or master & enjoy high flow caves. Cave guiding is available to certified cave divers from most agencies. Also, Wet Rocks Diving arranges Cave 2 classes, which may include the benefit of two instructors for the price of one! Please inquire. Tech 1, 1+, Tech 60m, 2, 2+, 3, and Rebreather: Explore deeper or longer with the right gases and procedures that allow you to see those wrecks, reefs, or fish not seen within the limits of recreational diving. GUE offers both semi-closed rebreather (PSCR via RB80) and closed-circuit rebreather training (JJ-CCR). Wet Rocks Diving offers coaching and workshops, focusing on refining your Fundamentals skills and ascent precision to help you make the most from your Tech class. 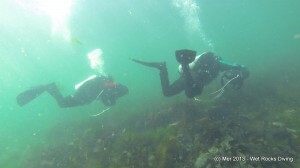 Wet Rocks Diving offers Tech 1 instruction.